highly versatile and appreciated for the 3D viewing. 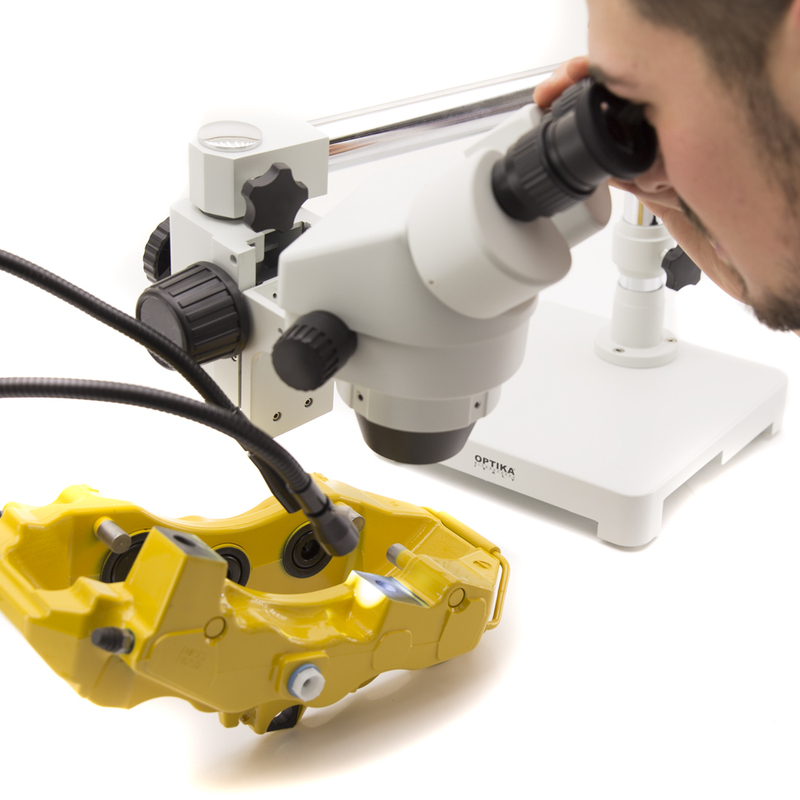 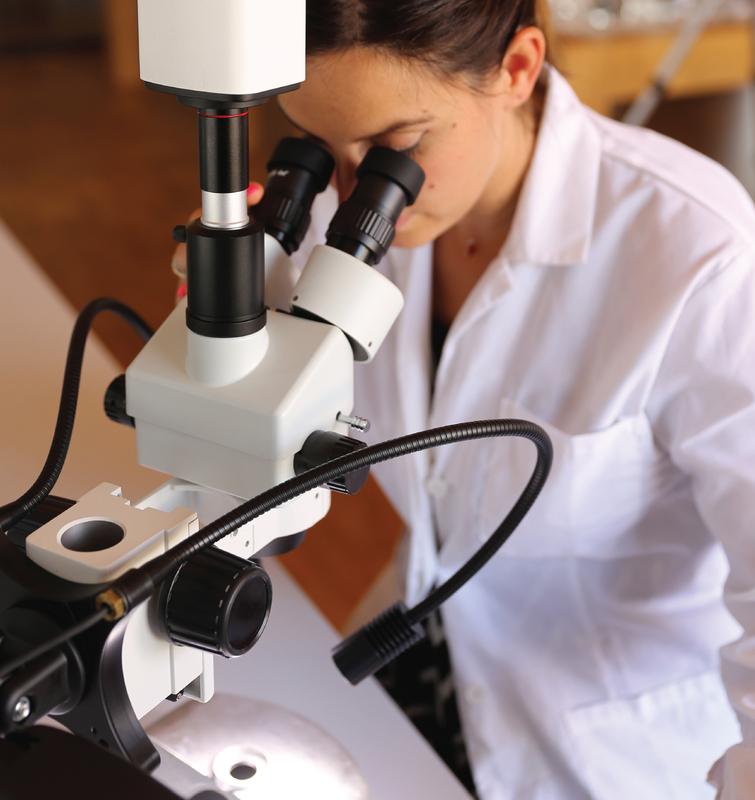 Samples with significant depth can be quickly inspected. 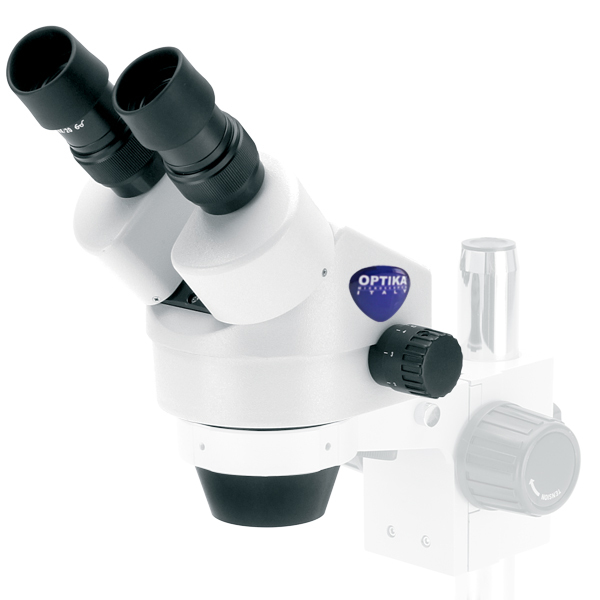 Binocular and trinocular heads are 45° inclined to grant comfortable posture to the user even after several hours of operation. 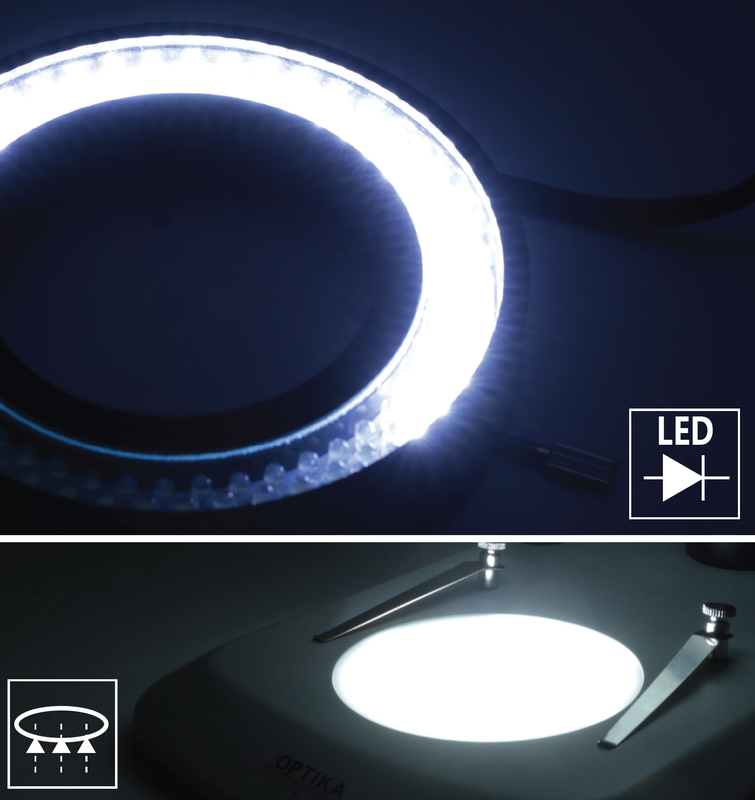 » Cold light and ring light LED illuminators. 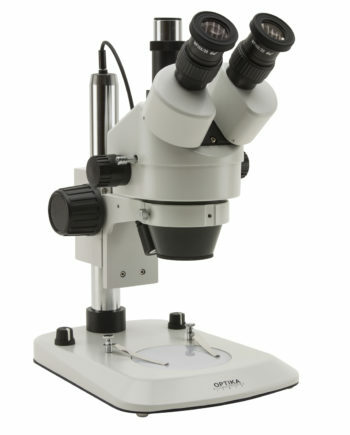 SZM Series has 0.7x-4.5x zoom range (6.43:1 zoom ratio), being purposely designed for routine inspections. 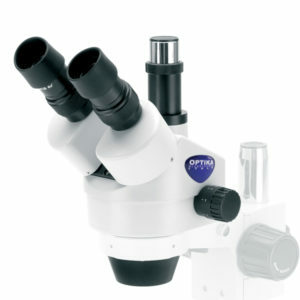 When combined with proper accessories (2x additional lens and 20x eyepieces), SZM delivers excellent images up to 180x. that cannot be processed with regular stands. 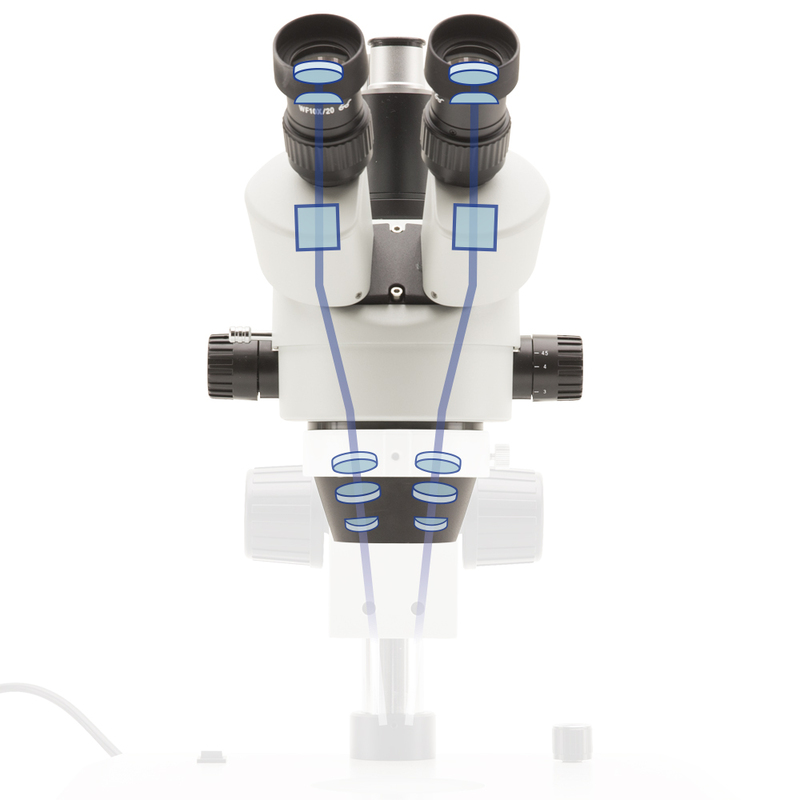 Achieve 360° rotation and smooth movement with no limits, as the mechanism can be tilted from right to left, backward to forward. 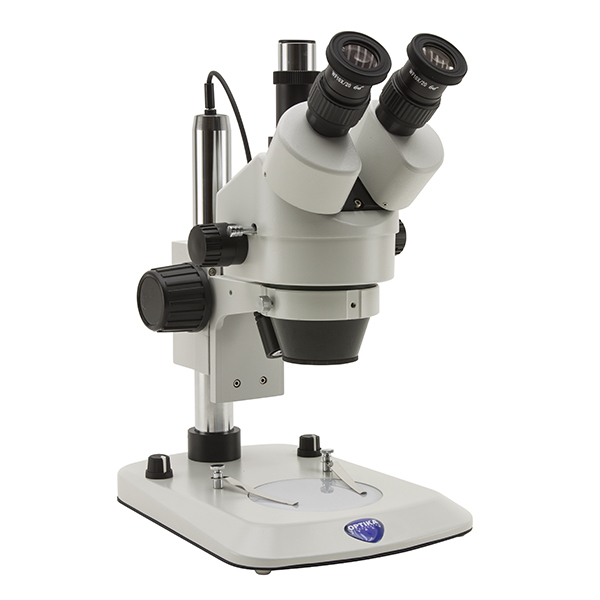 Greenough, binocular stereozoom head with 21 mm field number, infinitely adjustable zoom with 6.43:1 zoom ratio and 100mm working distance. 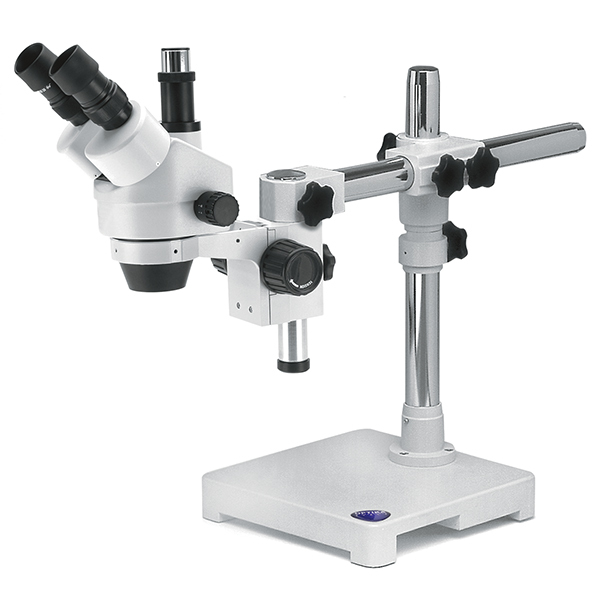 Binocular stereomicroscope with pillar stand and illuminated stage with halogen transmitted and incident illumination, freely settable. 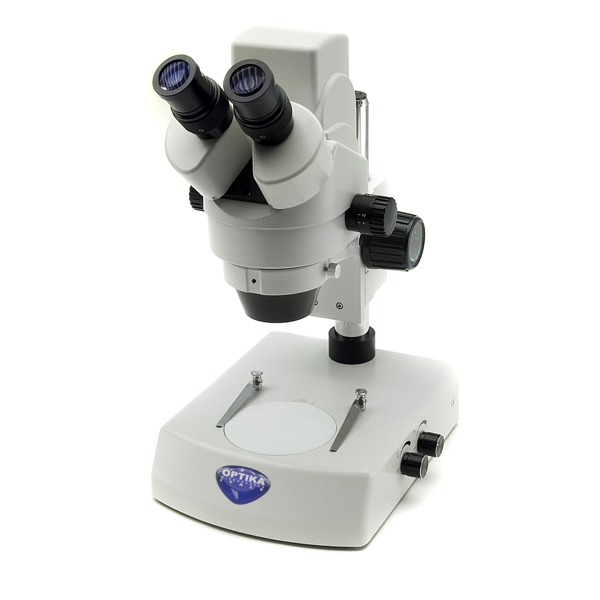 Trinocular stereomicroscope with pillar stand and illuminated stage with halogen transmitted and incident illumination, freely settable. Binocular stereomicroscope, pillar stand and ultra-flat base, illuminated stage with X-LEDT1 transmitted illumination and X-LED³ incident illumination for outstanding brightness, freely settable. Trinocular stereomicroscope, pillar stand and ultra-flat base, illuminated stage with X-LEDT1 transmitted illumination and X-LED³ incident illumination for outstanding brightness, freely settable. 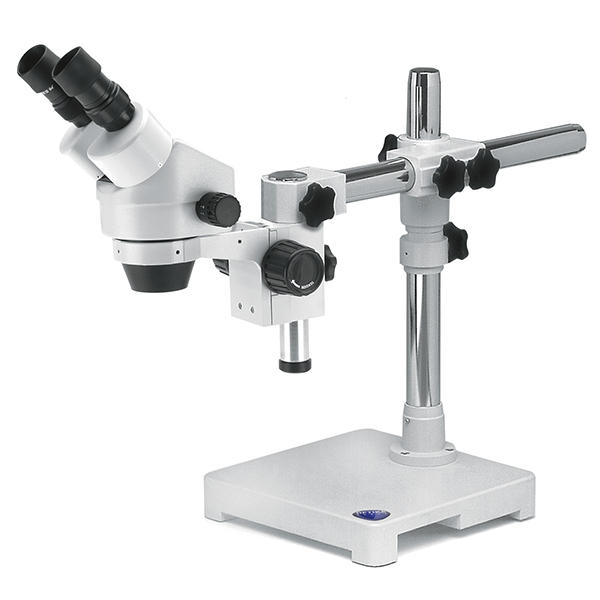 Binocular stereomicroscope with extremely stable overhanging stand complete of head holder and focusing system for perpendicular observation of particularly large specimens. Smooth horizontal and vertical movement are ensured. 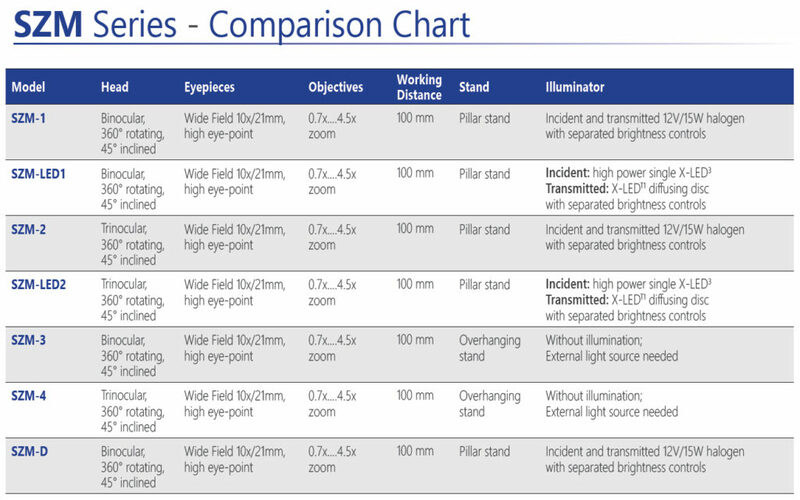 In case illumination is needed, choose from the wide choice of external illuminators available. 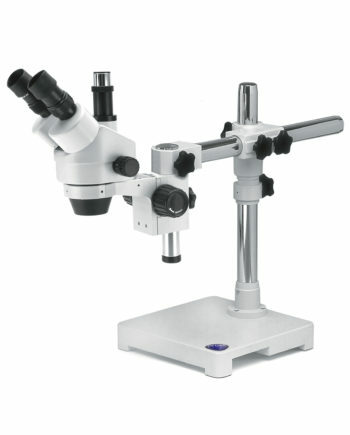 Trinocular stereomicroscope with extremely stable overhanging stand complete of head holder and focusing system for perpendicular observation of particularly large specimens. Smooth horizontal and vertical movement are ensured. 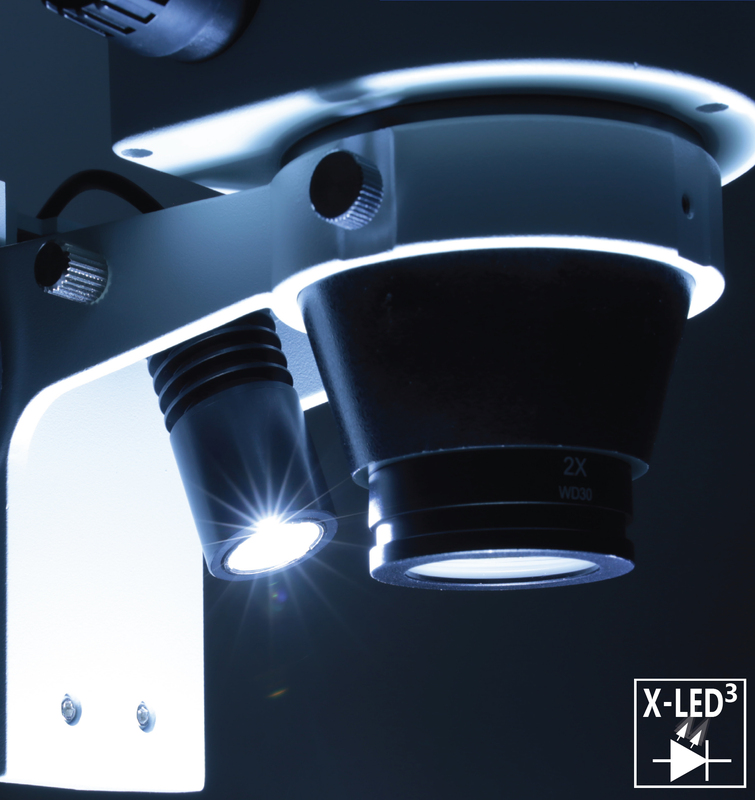 In case illumination is needed, choose from the wide choice of external illuminators available. 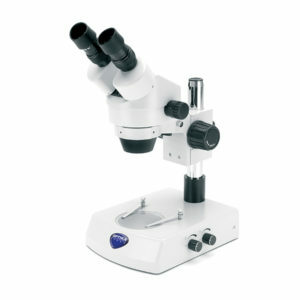 Digital binocular stereomicroscope with simultaneous view from both eyepieces and camera. The built-in camera can be connected to any PC. 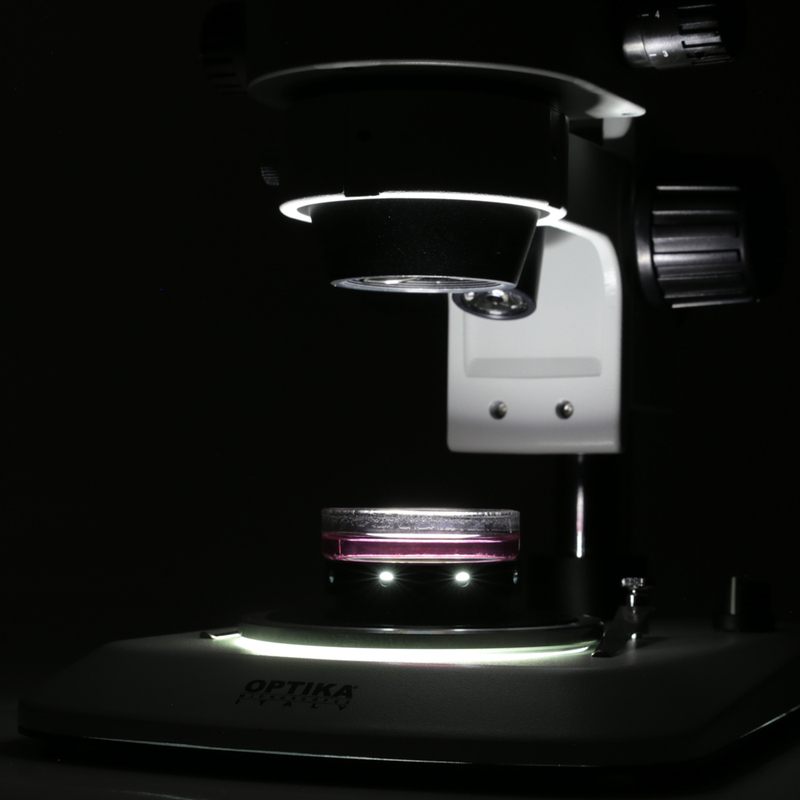 Some application examples demonstrating the versatility of SZM series. 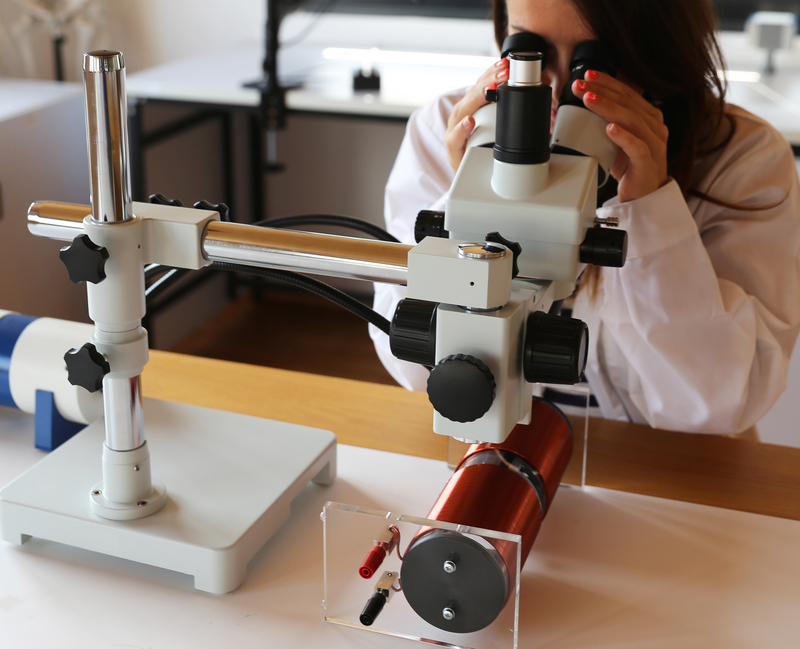 Routine applications are extremely facilitated!